The beautiful and contemporary Chalet Isabella occupies the first and second (top) floor of this recently constructed property. It has stunning views over Tignes Le Lac and is spacious, modern and light. It also has the added convenience of being near the piste. Alternatively it is a 5-minute stroll to the centre of Le Lac where the main lifts and ski school are accessed. 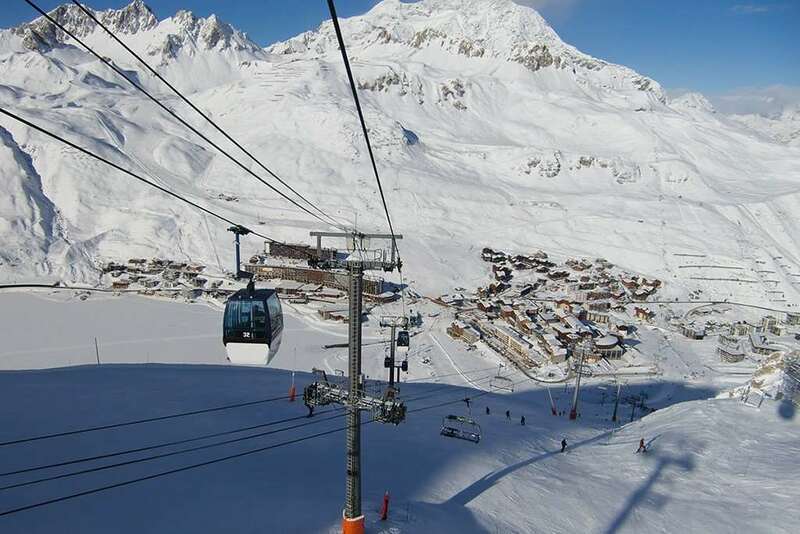 There is an excellent regular, free bus service that runs all day and night from Les Boisses to Val Claret, so you can really explore the other villages of Tignes. Twin rooms with twin beds, private bath and WC (1&2) - sleeps 2. Twin rooms with twin beds, private bath, WC and balcony (3&4) - sleeps 2. Small lounge area with balcony. Twin room with twin beds, private bath and WC (5) - sleeps 2. Twin room with twin beds and a single bed (suitable for child only as under eaves), private bath and WC (6) - sleeps 2-3. Please note: Cots are available for rooms 1, 2, 3, 4 and 6. Public areas will be cleaned each morning. Rooms will be cleaned twice a week. All linen and towels are provided. All bedroom doors are lockable.